A social networking tool aimed at connecting and supporting post-secondary Indigenous youth has received an Ontario Trillium grant to expand its network capacity. The Indigenous Friends Association, creators of the Indigenous Friends application, will receive $210,000 to expand over the next three years to universities and colleges across Ontario. What began as a master's degree thesis has evolved into a unique social networking tool with the goal of connecting Indigenous students with elders, cultural resources and each other. The application's architect, Alejandro Mayoral-Banos, left his home in Mexico in 2014 to pursue his master's degree at York University in Toronto. 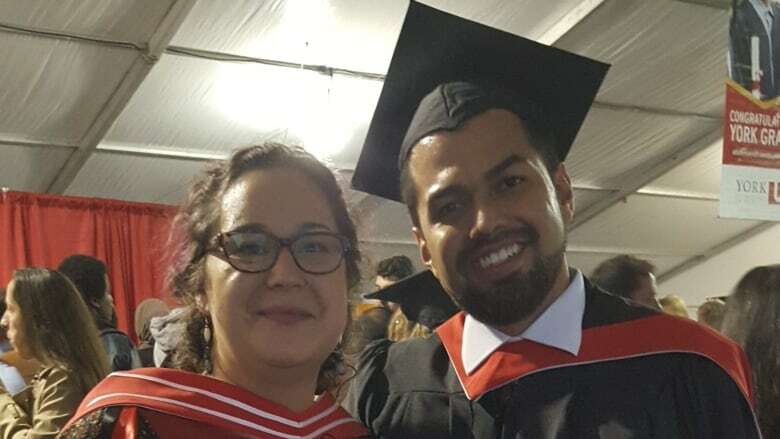 Ruth Koleszar-Green, an assistant professor at York University and vice-president of Indigenous Friends Association, said she met Mayoral-Banos in his first month at York. "He was having culture shock and as an Indigenous person I said, 'well I'll connect you to Indigenous students,'" she said. "Being an Indigenous person from Mexico, I was struggling to find myself in this huge university with a lot of people and trying to create community," said Mayoral-Banos. Koleszar-Green is a Mohawk registered to Six Nations of the Grand River, although she identifies as an urban Indigenous person. She introduced Mayoral-Banos to York University's elder-in-residence and the following week he was helping raise the school's teepee. A few weeks after that he was learning to fire-keep at a full moon ceremony. The idea for the community-building application grew from a conversation about how the university could better support Indigenous students. Over three years, a team of Indigenous and non-Indigenous students and staff worked together to develop the Indigenous Friends application. 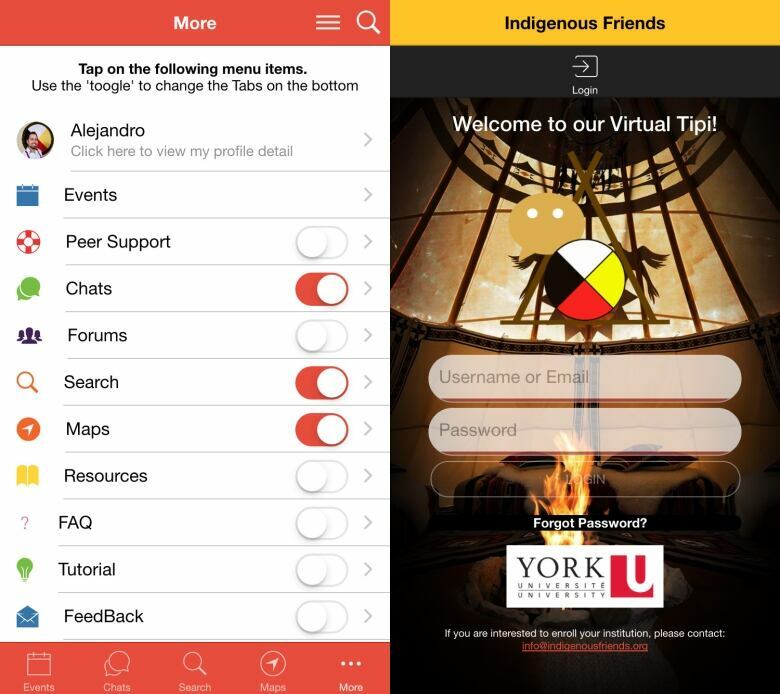 The application is free to download but requires a membership tag that can be acquired through the university's Indigenous student centre to ensure the app's community is a safe space for Indigenous people. Allies are approved on a case-by-case basis by the centre. 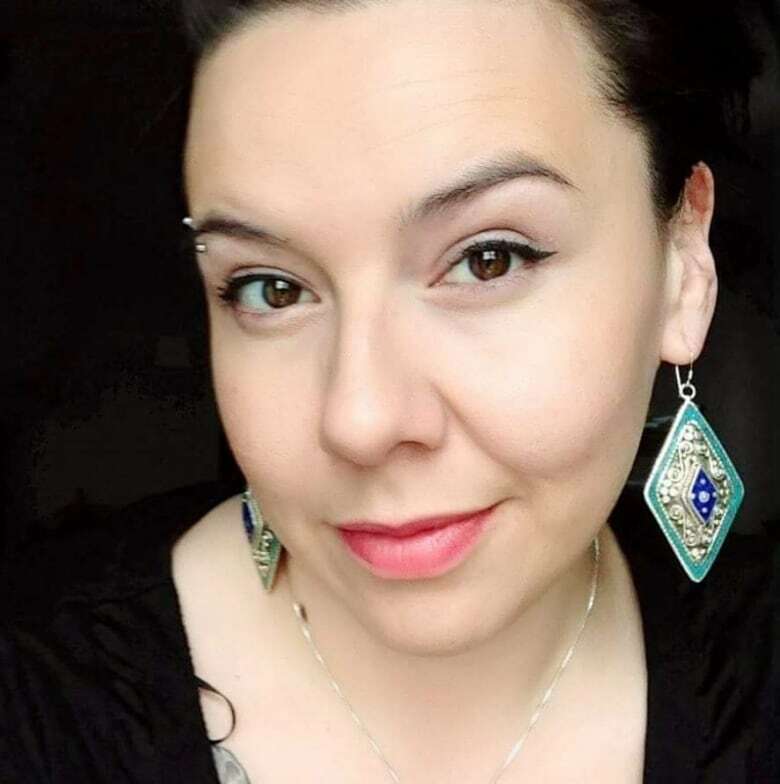 McKenzie Toulouse of Sagamok Anishnawbek First Nation near Sudbury, Ont., is enrolled in York University's Health and Society Program and is the administrative co-ordinator of the Indigenous Friends Association. Toulouse said she left her community not having any cultural resources or traditional knowledge and needed support. "The Indigenous Friends app has given me many opportunities to learn the knowledge within our Aboriginal communities for our people," she said. The app's development has been a multifaceted process, with consultations with elders and Indigenous organizations in Toronto, and with students for their input and opinions as the application expands. Toulouse said a lot of Indigenous people are at risk of homelessness or getting involved with the law, and that she hopes the app helps people at risk find community supports. "Maybe this will reach out to them and give them an opportunity before they actually fall through the cracks," she said. While Mayoral-Banos has written all the papers and coding for the application, he does not want to claim ownership of it but rather wants to give it back to the Indigenous communities and the students to be the voices for the people, said Toulouse. Because the Indigenous Friends application began as a community project, the team didn't realize the legal challenges they would face with a mobile application regarding intellectual ownership. Even if the application is not owned by an individual, it still has to be owned by something. "This is a community-based app, it's the community that holds intellectual property rights of the app," said Mayoral-Banos. "It's not my app, it's not Ruth's app, it's the community's app." The solution was to become a not-for-profit organization to which all of the intellectual property could belong. Once the Indigenous Friends organization was established, the hunt began for funding to expand the application. The first step of the expansion process will be in more post-secondary institutions, but in the long term the team hopes it will be able to reach into communities in northern Ontario. Challenges like spotty internet connections still have to be worked out.